Special Agent Kimberly Dee Place was returning to the ATF office in Springfield, MA. She had been working in New Hampshire, assisting in an ATF undercover operation involving a firearms trafficking investigation. As Agent Place drove south on I-91, another vehicle was traveling north at a high rate of speed. The driver, Eduardo Gonzalez, lost control and crossed the median strip and struck Special Agent Place's vehicle head-on. Other ATF special agents and Massachusetts State Police officers participating in the investigation were nearby and arrived quickly. Special Agent Place was pronounced dead at the scene, while Mr. Gonzalez died shortly thereafter. The accident investigation determined that Eduardo Gonzalez was a convicted felon on probation for armed robbery. The Massachusetts State Police estimated that Gonzalez was traveling approximately 92 mph at the time of impact. 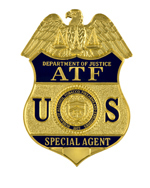 Special Agent Place joined ATF on June 22, 1987, as a student-clerk. She was later promoted to the position of Inspector (now referred as Industry Operations Investigator) in the Boston Field Division. In this position, she ensured that industry members adhered to ATF regulations for firearms and explosives. In 1996, Kim became an ATF Specialist and transferred to Washington, DC, where she helped supervise financial matters within the Bureau. 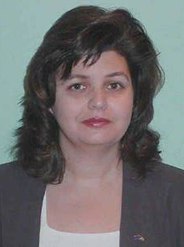 In 1998, Kimberly was appointed a Special Agent and assigned to the Dallas Field Division. In 2005, she transferred to the Boston Field Division and was assigned to the Springfield office. During her 20 years with ATF, Special Agent Place was the recipient of eight Special Act or Service Awards for excellence in performance. Kimberly was a 1987 graduate of Salem State College, Salem, MA. She had a strong interest in languages, having studied French, Russian and Italian. Kimberly was also devoted to animal welfare and community volunteer service with the Foster Parents Program and the Big Sister's Program. Special Agent Place was born in Gloucester, MA. She is survived by her mother, Caroline Place and sister and brother-in-law, Deborah and George Machain. She is buried in Manchester-by-the-Sea, MA.